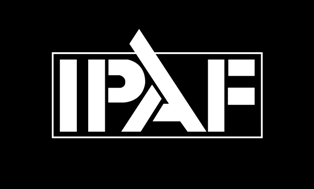 * IPAF North America is holding its Annual Meeting on October 11, 2017, in Miami, Florida USA. Events will take place the day prior to the ALH Conference & Awards at the Marriott Biscayne Bay. You are invited to attend! Let us know your participation level by responding to the below questions. Members and non-members alike are invited to these events. Remember to click SUBMIT at the end of portal. To submit additional names, click the link for the survey. One individual is submitted at a time via the portal. We hope that you do join us in Miami! MY PARTICIPATION COMMITMENT: Yes, I will attend the IPAF North American Annual Meeting No, I will not attend. Three Educational Sessions on topics facing the Mobile Elevated Work Platform industry - Oct. 11th - 1:00 pm to 3:15 pm Eastern. Yes, I will attend the Educational Sessions. No, I will not attend. Networking & Reception - Oct. 11th - 6:00 pm to 8:00 pm Eastern (Coco Frio, The Mojito Band, Panama Hats and Your Best Beach Shirt) Yes, I will attend the IPAF NA Networking & Reception. No, I will not attend. * First Name * Last Name * Company Name * Address 1 * Address 2 * City * State * Zip * E-mail address IPAF North America will send you a reminder e-mail regarding these events the week of October 1st. Thank you for RSVP-ing and for your support of the association.